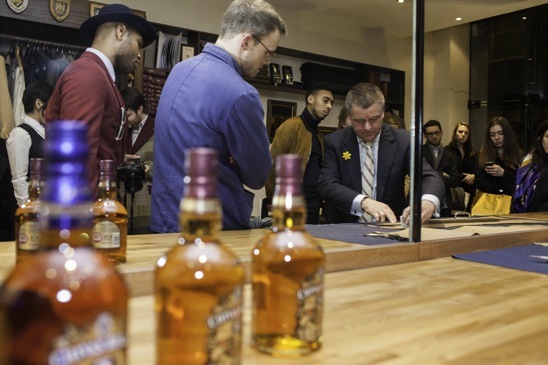 On Thursday 24th April 2014, Chivas deluxe blended Scotch whisky and the tailors of the Savile Row Bespoke Association (SRBA) are opening up London’s most sartorial street for the very first time, giving 300 style conscious individuals and luxury aficionados the opportunity to meet the masters after-hours! Open Row will allow guests to experience the Chivas and SRBA partnership in action as they come together to continue to support and celebrate their shared values of heritage, modern craftsmanship and style. Guests will arrive on the Row at 6.30pm, where they will receive their bespoke guide to the Row and choose their first complimentary Chivas cocktail from a Savile Row inspired menu including the Cocktail Cuff, Chivas Three Piece and the Savile Row Classic. As they embark on their after-hours exploration of the Row, guests will have the chance to experience an exclusive whisky tasting hosted by Chivas brand ambassador Michael Harrison, who will take them through the art of blending that has gone into every bottle of Chivas since 1801, as well as sampling the full Chivas range of 12, 18 and 25 year old luxury whiskies. There will also be an exclusive Chivas cocktail masterclass for guests to partake in on the night, learning the art of mixology from one of London’s leading bartenders, inside the elegant confines of the Alexander McQueen Menswear flagship store at 9 Savile Row. Each of the members of the SRBA will be hosting a unique presentation that showcases the history, workmanship and individual style of their house from pattern cutting workshops and style advice for the modern gentleman, to talks from the men and women behind the Row and a military retrospective remembering the soldiers of WWI one hundred years on. The Row will close for the night at 8.30pm, but not before guests have had a chance to win some fantastic prizes and sign up to the Chivas Society for access to more exclusive news and bespoke content from the Chivas and SRBA partnership. Tickets to Open Row are priced at just £15.00 (including two complimentary cocktails) and are available to purchase here. Please ensure this event is for over 18s only and attendees must bring proof of ID to ensure entry. 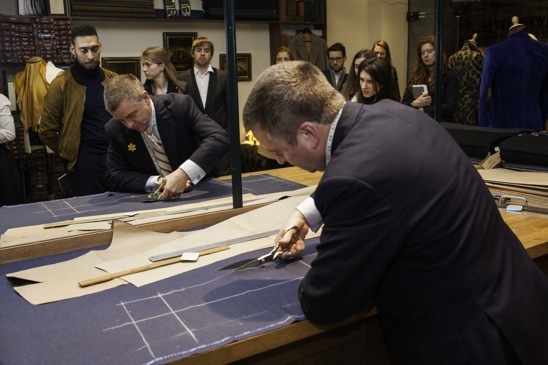 Proceeds from the ticket sales will go to the SRBA apprentice training scheme, which supports young talent and helps Savile Row invest in the next generation of apprentice tailors. Open Row is the first consumer event to take place in the second year of the partnership, and throughout the course of 2014, Chivas and the SRBA will continue to create events and activities to inspire appreciation for the art and heritage of bespoke tailoring, modern luxury and the importance of masculine style in the UK. For exclusive news, content and fantastic offers from Chivas deluxe blended Scotch whisky, visit the Chivas Facebook page or follow us on Twitter @ChivasRegalUK or instragram.com/ChivasRegalUK #ChivasSavileRow. 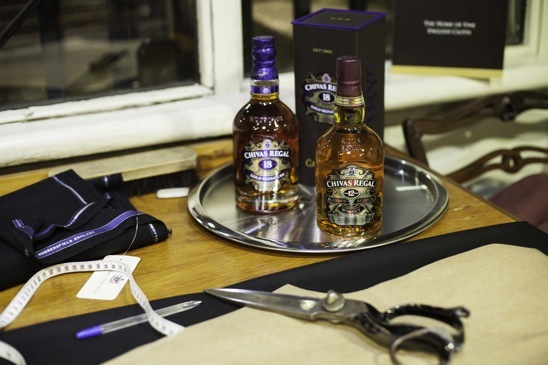 For bespoke video content from Chivas and the Savile Row Bespoke Association please click here and here. Open Row tickets are available here.